The ATF is proud to support the community through these key events. Each May the ATF raise awareness throughout Australia about the importance of Good Thyroid Health. The thyroid gland is essential to the way the body functions and your wellbeing. May is the time of the year when the ATF messaging is promoted. International Thyroid Awareness Week and World Thyroid Day combines with ATF messaging during May. This is a Mother's Day Message. If you are considering pregnancy, or if you are pregnant or breastfeeding, it is important your thyroid function is tested, monitored and treated if necessary. A daily adequate amount of iodine is essential as well. A daily pregnancy supplement including at least 150 mcgs of iodine is recommended for women contemplating pregnancy, pregnant or breastfeeding. Australian research shows 50% of pregnant women are iodine deficient. Both inadequate thyroid function and iodine deficiency can affect the development of the foetal brain of your baby and lead to lower intelligence and learning difficulties in children. All children are entitled to enjoy the life they were intended. 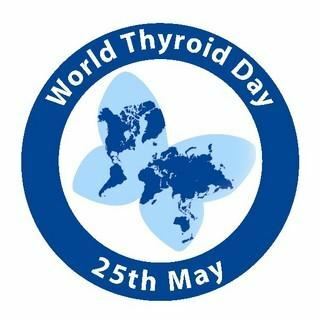 World Thyroid Day (WTD), May 25th, is dedicated to thyroid patients and to all who are committed to the study and treatment of thyroid diseases worldwide. 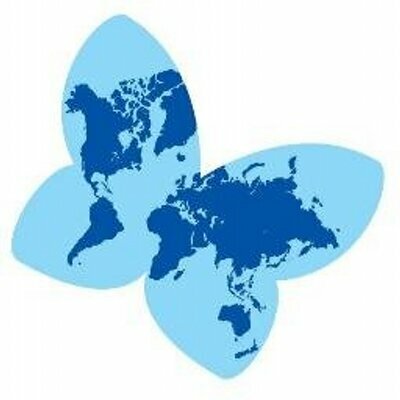 2011 is of special importance since it was the first time that World Thyroid Day was celebrated by the American Thyroid Association (www.thyroid.org), the European Thyroid Association (www.eurothyroid.org), the Asia-Oceania Thyroid Association (http://aothyroid.org) and the Latin American Thyroid Society (www.lats.org). The ATF supports the International Thyroid Awareness Week each year. ITAW is held between (25 -31) May. The Australian Thyroid Foundation support the importance of Good Thyroid Health and How To Achieve It through being aware of symptoms and changes to the thyroid gland. The two loops of the ATF Gold Bow symbolise the Thyroid Gland, one gland on either side of the neck. 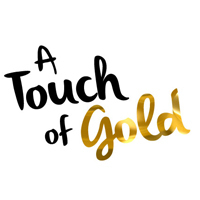 The Gold colour symbolises that your Thyroid Gland is more valuable to you than Gold! The ATF Gold Bow Day highlights the increase in Thyroid Cancer, with the most recent research from 2008 stating, thyroid cancer had increased by 84% in women and 40% in men over the previous 10 years. with some much needed funds being realised on the night. Click on this section to read the Gala Ball Report from the ATF President. The ATF BiG Breakfast/Brunch is an important fundraiser for the ATF. Without fundraisers to support the ATF, the organisation would not be able to provide as many member services and reach out to Australians with awareness messaging. Hold a BiG Breakfast/Brunch to support the ATF. You may like to vary the time of your event from a ‘BiG Breakfast to a ‘BiG Brunch’ whichever is more convenient. Organise the right time for you, so you can enjoy the event with your community, work colleagues, friends or family! Organise a Dare To Be Aware! Raise awareness about the Importance and Benefits of Good Thyroid Health and How to Achieve It! Talk to us about getting your friends and family, work colleagues or community together! Statistics show ! Million Australians are undiagnosed with a thyroid disorder, which is alarming. The ATF can provide information brochures and help you raise awareness. Learn more about how you can be aware of Thyroid conditions - and have some fun at the same time!